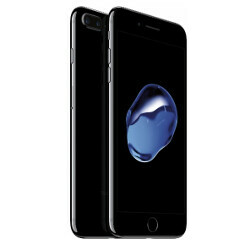 Earlier this morning, we told you that pre-orders for the Apple iPhone 7 from T-Mobile subscribers were "four times bigger than the (pre-orders for the) iPhone 6," according to CEO John Legere. At Sprint, during the first three-days that pre-orders were being accepted, iPhone 7 and iPhone 7 Plus reservations rose 375% year-over-year in comparison to Apple iPhone 6s and Apple iPhone 6s Plus pre-orders. There are reasons for the early success. The Apple iPhone 7 scored strongly at AnTuTu where it broke records with a score above 178,000. In addition to being powerful, the new iPhone models are the first to have an IP certification rating. In this case it is IP67 which means that in theory, the phone can be submerged in up to 3.2 feet of water for as long as 30 minutes, and escape unscathed. However we don't expect too many people to test this out since the phone's warranty does not include water damage. Higher capacity batteries are adding approximately two additional hours of battery life to this year's iPhone units. All four major U.S. carriers have deals that offer a free iPhone 7. While the phone is free, you do need to lay out the $650 for it in advance, and get reimbursed with bill credits over 24 months. And of course, Apple is getting an additional lift from the issues that rival Samsung is having with the Galaxy Note 7. Since no one is selling the Android powered device at the moment, Apple might be scoring some more sales of the 5.5-inch iPhone 7 Plus than expected. "It’s clear that Sprint customers want to get the most out of the incredible iPhone 7 and iPhone 7 Plus and know there’s no better place for this than Sprint. No other carrier can match the value Sprint offers iPhone customers. With Unlimited Freedom and also 50% Off, as well as innovative programs such as iPhone Forever, we can meet any customer’s needs. Our network has never performed better, and we’re pleased to deliver the hottest smartphone of the year to our loyal customers and we welcome many more who are giving us a try. Unlimited Data + the greatest phone ever = rise in preorders. I wouldn't call it the greatest phone ever, but I agree. This year Apple did really well :D.
Can't help but think that the pre order percentage is this high thanks to samsung messing up their flagship phone. Apple executives sure will be delighted to hear the pre order number. It would have been high regardless, but you're correct, Samsung Note 7 ExplosionGate is definitely helping. And you seem delighted to see Apple benefiting off Samsung's misfortune with the Note7. Any problem Samsung sheep? You get really butthurt whenever someone brings samsung explosive phone to the equation. I wonder is this your way of getting attention of your attentionless life. That comment was completely unnecessary and utterly false. Dude take T-Mobile news and Sprints news with a grain of salt. Percentages don't mean much. 375%? How many pre-order did Sprint do last year? Think of it this way. If last year they only did 2M pre-orders, 3 times that amount isnt all that much. According to the facts. Sprint, which is the first carrier to start the iPhone 4Ever Plan, actually got the least buyers of the iPhone vs ATT, VZW and even T-mobile. In the course of a year ATT usually sells roughly 15M iPhones, while VZW comes next and then T and Sprint. Let's just wait and see what the actual sales end up being. Also remember this, out of the 75M iPhone sold in Apple's Q1 last year, only 12M were actually the newest model. If you take 12M and divide it to just 4 carriers, that only 3M each. But consider the iPhone was release in several countries at first, that leaves 1M or less each just for the USA alone. I would love to know where you're getting your information because all I see is random numbers. Techie doesn't do "information". He improvised that entire post.......such an amazing comedian. And what would your excuse be if Samsung didn't have the explosion issues? For crying out loud - iPhone sell because they're different from android offering - and people like what Apple is doing, doesn't matter if Samsung phones are exploding or not. You cheap excuses pieces of s**t. Stop an annoying other members with your same old excuses why iPhones are selling well - they're awesome devices - they bring new things to mobile scene with every iteration - people love iOS more than android - f**kEN ENOUGH!!! Lazy little trolls. Come up with new excuses for once!!! When is the new Nexus out? I'm assuming you mean the Google Pixel phones, since Nexus is apparently done. I've heard early October. It's the greatest iphone since iphone! Unlimited "Limited" Data with 3GB mobile hotspot is included in the plan and can only stream up to 480p. For $20 more you can stream up to 1080p. Lot's of catches regarding "unlimited" data. As I've said before - this only proves that iPhone users consider Apple removing standard functions of the phone exciting and worthy of an upgrade. Don't come crying to Apple when they remove your screen or speakers claiming it's an improvement. Apple could even remove the battery from the iPhone and sell it's battery back as a seperate accessory, it will still sell very well. Reality is that it's the fandroids who relentlessly defend android no matter what. The phones are literally exploding yet you guys used this to attack apple. Imagine an iPhone with no internal battery, and the battery pack being separately sold by Apple, as an accessory... Won't it still excel in sales? My thoughts are absolutely. Apple should put the two of us on their think tank, I'm sure we could think of plenty of things to remove for a big fat paycheck. And ....Samsung will do the same in a couple if not sooner, once they are done dealing with the landmines problem. if you're stuck back in 2013 and are looking at the xperia z when comparing it to this. Seriously, why must you always speak nonsense? But people here have told me that the iPhone was done at that the 7 would be a huge fail and that Samsung would destroy Apple?? Hm..Now I'm confused. It's only a fail if it doesn't work for you and you bought it!!! For example I try android devices every two years (dodged he billet, this year would have been note 7, but I'm not due for an upgrade till 2017). But android requires too much input to do why iOS does automatically. I give don't give two shnits about "customization". The two things I liked in all of android was the s-pen and "always-on" display. Everything else is "Meh" and extremely overhyped and a lot, A LOT, of android is counterproductive. Some people will enjoy that though - for me it would be a huge step back to move to android - as I need a tool - a predictable tool - not a tinkering device. Before the usual suspects start throwing flame - this is my opinion, it's a tried and true opinion - it's an opinion that millions and millions share. Get over yourself - I do understand why you choose android. Please understand why I choose iOS!!! Summed it up perfectly. The overwhelming majority of android features are gimmicks. Whereas, Apples are well thought out and work out of the box. The other thing I like about apple is that I can literally take my handset to any other carrier on the planet and have all the features available from the get go. My note, hell no, I have to get the other variant for a phone even in the same country. Lets also not forget how convenient it is to get a phone repaired or replaced at any apple store. I just purchased a mid-range LG tablet that was released in June and it's utter garbage. It doesn't even have a screen light sensor, yet folks are going to crap on about Apple. In comparison, my 3.5 year old mini still does not miss a beat or lag like this LG.